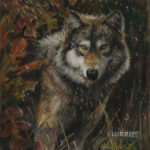 At a very early age I developed a deep attachment to animals, wildlife and nature and this love of my surroundings assisted me in developing the ability to capture them in all forms of artistic presentations. A graduate of Oklahoma State University with a teaching degree in Math, Music and Science, I discovered right away that my true passion was art. 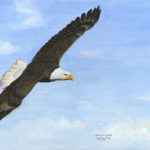 I am a self-taught naturally talented artist who depicts nature as I see it, feel it and have experienced it. 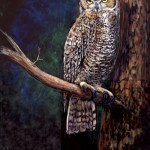 Wildlife has been the main interest in my artwork, but I also do portraits and commission pieces of other subjects. Working in many mediums has given me a unique latitude when depicting art. Pastel, oils and scrimshaw are the main mediums I use, but sculpture, pencil and pen & ink round out my presentations of realism. 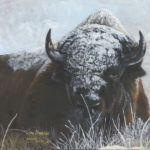 I enjoy watching viewers become involved in my art pieces with their emotions as well as enjoying the images they see. I create from my heart to yours. I can only hope that you love what you see as much as I love creating it.